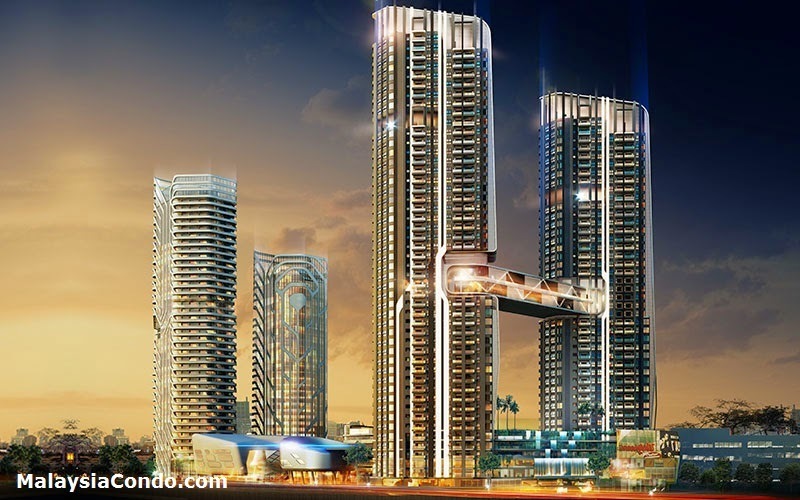 Central Tower features a mixed development consisting residential suite towers, a hotel tower and an office tower, rising solely in the midst of ultrapolis i-City. With a total gross floor area of 1.6 million square feet, the exalted construction will offer an exclusively trendy lifestyle. Central Tower is accessible to all sorts of conveniences like education hubs, leisure outlets, business centers and beyond. This profound venture will share a common architectural theme with CentralPlaza @ i-City, a 1.5 million square feet shoppers haven conjointly developed with Thailand's largest retail developer, Central Pattana. Better yet, with remarkable structures of pedestrian linkages at various levels between the two lavish developments, perceptive owners are only a pleasant stroll away from shopping sprees. The connectivity surrounding Central Tower is superb as it is highly accessible via major highways such as the NKVE and Guthrie Corridor Expressway with a designated direct flyover to the Federal Highway.